Happy Holidays from the TypeTastic Team! A gift for you! This holiday season, what we’re most thankful for is all of you, the hard work you do with your students every day, and your enthusiasm for TypeTastic! We’re excited to share with you that TypeTastic games will continue to be free (and ad free!) for you and your kids! Students are able to practice this crucial 21st-century skill through fun games like Cupcake Bugs, Keyboard Builder, and Frog Pond Patrol, all with no ads! We will be hard at work throughout the New Year to launch new game levels and features, and be sure to keep you up to date on all the exciting new opportunities—and fun—for your classroom! Speaking of, if you haven’t had a chance to try our latest games, you can find them here! 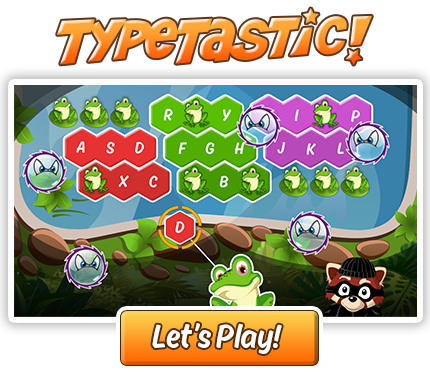 If you and your students have loved learning typing through TypeTastic, we hope you’ll consider sharing this great new resource with others in the new year! ← TypeTastic: The Amazing Tool that Teaches Kindergartners to Type!